Great location, excellent value for money, very clean and very comfortable bed. 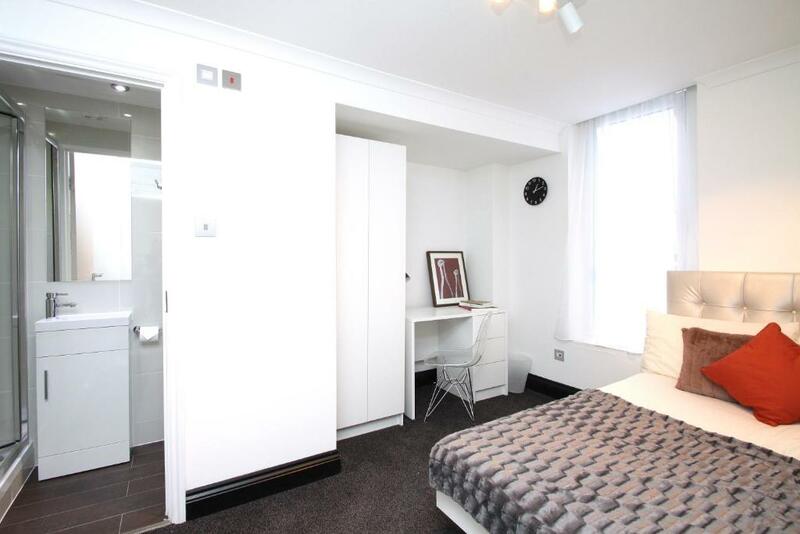 Excellent location, very close to Euston station 5 mins walk. Very good value for money. Room was small but spacious enough, bed was comfy, there was a hairdryer, iron, tea/coffee, complimentary bottle of water, TV. I only had to share a bathroom with 1 other room. Easy online check in. Very easy check-in with main door and apartment key codes emailed 10 minutes before. Great location and basic but clean rooms. Basically everything you need for a budget trip to London and everything we were looking for. Location was perfect for what we needed. 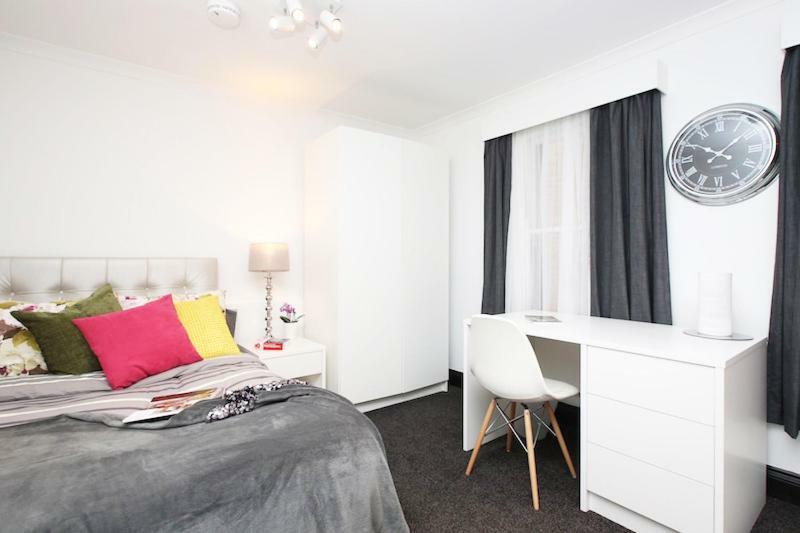 Clean & Tidy room. As a music artist the property was really clean & had plenty of space. I would definitely recommend this property to my friends & family!!! Very clean, new furnishings, the reception-less system worked fine. One of our bestsellers in London! 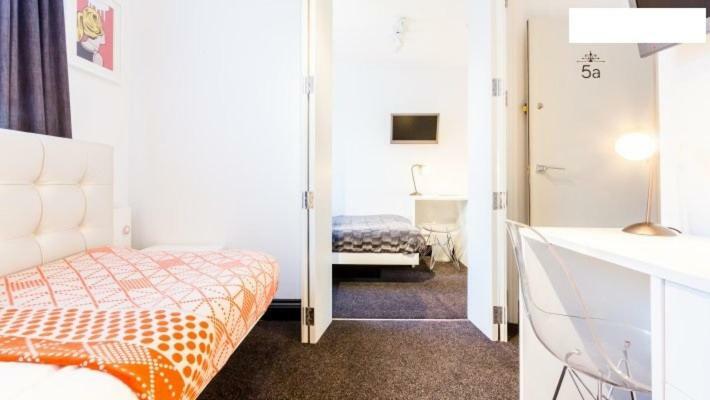 Situated 750 yards from King's Cross Theatre and 0.6 miles from British Museum, The Dome Kings Cross offers accommodation in London. 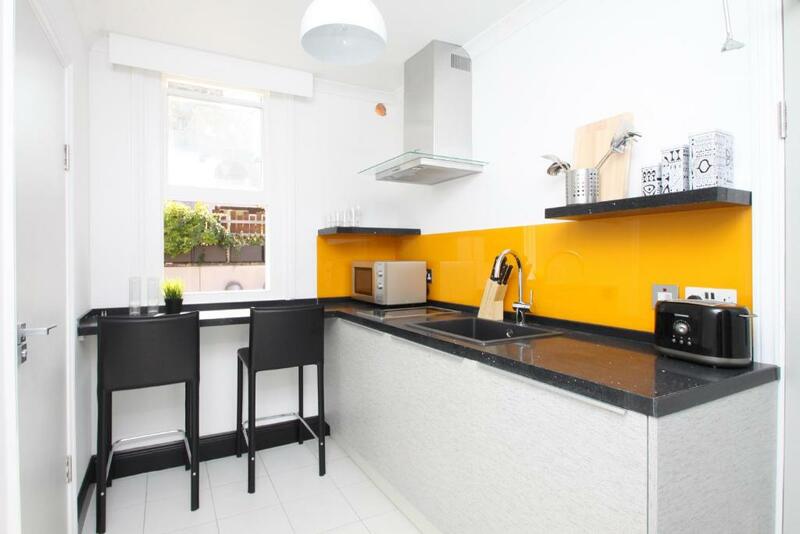 The property features views of the city and is 0.8 miles from Dominion Theatre. Free WiFi is available. Some unit equipped with a kitchen with an oven and microwave. Towels and bed linen are provided and there is a housekeeping service every 3 days. Camden Market is 1 miles from The Dome Kings Cross, while Prince Edward Theatre is 1.1 miles from the property. London City Airport is 8.1 miles away. The Dome Kings Cross has been welcoming Booking.com guests since 26 May 2017. When would you like to stay at The Dome Kings Cross? 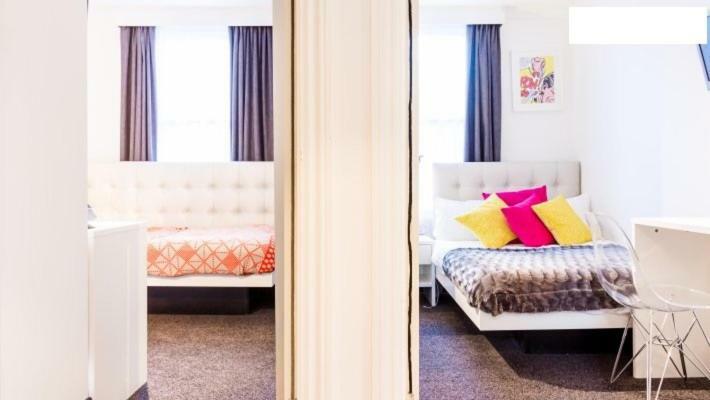 The Dome Kings Cross Apartments is a self-checkin property, designed to offer comfort and privacy, in a stylish environment. Please be aware that this building has no lift. The Dome Kings Cross Serviced Apartments offers apartments for short stay in various London locations. We care about our guests and our aim to make your stay special. The apartments are reception free and there will be some information we will need prior checkin; our fabulous Front of House Team will send you an email with all the necessary instructions on how to access the property, the Wi-Fi details, contact number for our staff, and any other relevant information you may require. If you choose to stay with us you will receive an automated email from our trusted partner Mews to check-in online, we require this to be completed prior to your arrival. Tucked away moments from the transport hub of Kings Cross St. Pancras, from which you can be nearly anywhere in london within half an hour, you can find the charming Dome Kings Cross. Kings Cross has something for everyone: you can find a family friendly street market on weekends, a plethora of charismatic independent cafes and restaurants, and for the night owls we are less than a 10 minute walk from the hustle and bustle of London night life with bars and clubs to suit all tastes. House rules The Dome Kings Cross takes special requests - add in the next step! Rooms may vary in sizes and layouts. Please note that pictures are for illustrative purposes only. Please inform The Dome Kings Cross in advance of your expected arrival time. You can use the Special Requests box when booking, or contact the property directly with the contact details provided in your confirmation. Check in process can be improved. Basic bathroom, very small and difficult to wash. No access to a common kitchen, photos are very misleading. It is really small for single room. Not comfortable. Toilet is specially really small. It is central. Budget Hotel\apartment. Someone listened! I was so distressed after my stay bc the shower hadn’t worked and that was a huge problem for me! After reviewing my complaint, the hotel’s manager Gave me a 50%refund, that’s the way it’s supposed to work if you don’t get what you’ve paid for! Everything was great, and only request would be to have a bedside lamp, as there was only the main light which was rather bright and the switch was not near the bed. Bathroom is little bit small and lack of place to settle things properly. Location is really close to London Kings Cross. The room is like a box! It’s very small! We paid 372€ for 3 nights ! For the services a lot of money! They don’t clean the rooms ! Apart from that we arrived at 12 o’ clock in the noon! We had informed them about that! When we arrived nobody was there! I called them and they told me to give them my card number because it was extra charge 15£ for early check in! I was very Disappointed! The only good was that it’s near to underground! My only suggestion is it could do with a mirror in the bedroom. Full length if possible. You can hear other people moving about but hsving said that despite the central location, it was quiet. The room below us was either empty and/or the guests left the bathroom fan on. We could hear this all night. We were also woken by our noisy neighbours checking out at 6am. Double bed located in the corner of the room, so one person had to climb out of the end of the bed. Location was very good. Room was clean.